he spinal column is made up of 33 vertebral bones interconnecting articulating discs which support the muscle strength of the back. For a myriad of reasons, the spatial relationship of these independent structures can become disrupted and weakened, which causes discomfort, pain, loss of movement, and a loss of function. To correct this incompetency, spine fusion may be offered as it will help restore the integrity of the spine. Once the vertebral bones are realigned and stable, the patient will experience a reduction in pain and a return of movement and function. Typical diagnoses when severe enough may require a spinal fusion are certain forms of spondylolthesis, scoliosis, degenerative bone diseases, degenerative disc diseases, spinal deformities, traumatic injuries, personal injuries, or work-related injuries. A segmental fusion of the spine may be necessary to “bridge” existing vertebral bone structure and augment the bone healing process. 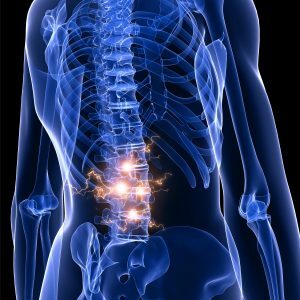 As experts in spine surgery, neurosurgeons assess, what would be the best method strengthen the vertebrae bone connection by using an autograft, allograft, or other medically approved implantable devices. The bone graft and vertebrae are fused together using a light weight device in the form of a plate that is secured to the bone. This device fosters healing by encouraging bone growth. The projected outcome of a successful bone graph takes anywhere between three to six months during which new bone grows around the implant. When surgically indicated, a spine fusion will drastically improve the patient’s ability to function, restore mobility, and significantly reduce back pain. North Jersey Spine Group (NJSG) is comprised of board-certified neurosurgeons also spine surgeons, who perform spine fusion surgery only when it is clinically indicated. Planning each surgery includes the proper care both preoperatively and postoperatively to support a rapid recovery. NJSG offers multiple convenient locations across Northern NJ from Bergen County to Morris County and nearby towns including Saddle River, Jersey City, and Fair Lawn, NJ. Patients can expect to receive unmatched expertise using advanced medical technology to best restore the quality of life prior to back pain. To determine if a spine fusion is an appropriate treatment option for back pain relief, contact NJSG today.